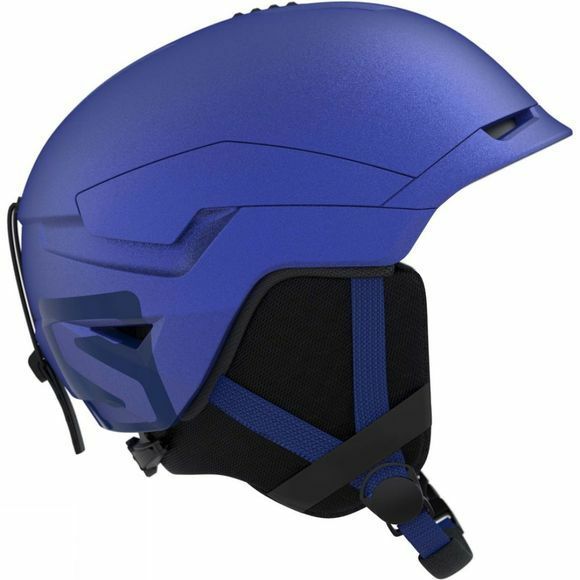 The Men's Quest Access Ski Helmet from Salomon is a durable and comfortable helmet that offers excellent protection. The hybrid construction helps disperse and absorb both oblique and vertical shocks to ensure your safety when exploring the mountains. It boasts a quick and easy adjustable fit system to accomodate a huge range of head sizes and shapes while the airflow adjuster allows you to modify the ventilation to keep you comfortable at all times. The removable faux fur lining ensures warmth and cosy comfort and can be removaed easily for washing purposes, it is also audio system compatible so you can listen to your favourite tunes or audio book while you explore.